On this day in history, Dec. 13, 1928, the clip on tie was created. Thirty years and nine months later, I was created. 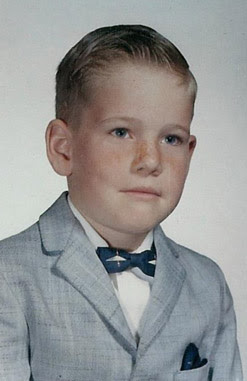 Five years after that, in 1963, I was wearing a a clip on bow tie. And this gets even more bizarre. 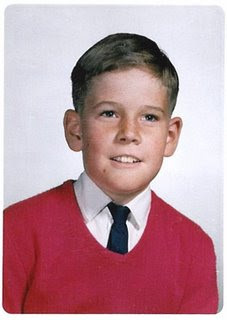 Three years later, when I was in Third Grade, I was photographed wearing a skinny, black clip on tie. Okay, now this really gets weird. 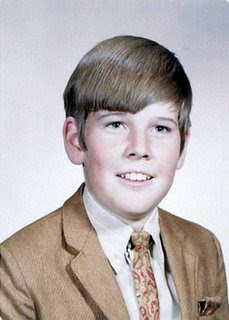 Three years later, when I was in Sixth Grade, I was photographed wearing a skinny, PAISLEY clip on tie. And finally, six years later, when I was graduating from high school, I was photographed wearing my the last clip on tie I'd ever wear. And get this, it was a bow tie. Thirteen years after I'd worn my first clip on bow tie, I was wearing one again. Each clip on tie incident occurred at three or six year intervals over a 13 year period. And what is the real significance of this? The clip on tie was created on December THIRTEENTH, 1928. I was born in 1958! Coincidence? I think not. Even more disturbing about all of this is how big my ears look in all of these photos until I grew my hair out. Wow, your hair got progressively longer as the years went by JUST LIKE MINE! Is that some strange coincidence or WHAT?! However, that tie thing, I don't know.......was that some strange kind of cultural thing in your part of the country? At least you had the good taste to wear paisley at least once. I'd post my yearbook pics if I could just get those psychological warfare dweebs at homeland security to release them. Hmmm...I missed the whole hair growing aspect of this anomaly. That makes it even stranger and truer. And I'm looking at your yearbooks photos in your file as we speak. You know I don't think it's that your ears are to big so much as your head is too small. Lights, that is what I've always liked about you. It's this "head is to small" versus "ears are too big" world view. But at least my house is clean. Ouch, that must have hurt. 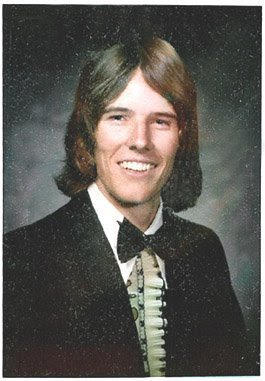 You're about my age however I don't recall anyone wearing ties back then. I do remember the hair getting longer as we went though. They were my Sunday school clothes and my mom made me wear them on photo days. Except for my senior photo. They made you wear the stupid tux for that one. The hair was my idea. Nice age progression. I don't think these are real pictures of you at all, but some photoshop created lie. I like that you made your ears big... this adds to the credibility of the whole thing. I thought i had it bad with ears. They called me "elephant ears" in grammar school. My head finally caught up.